Over the last four days, 12 suspected or confirmed pipe bombs have been sent to high-profile Democrats and supporters in five states, mostly in New York. 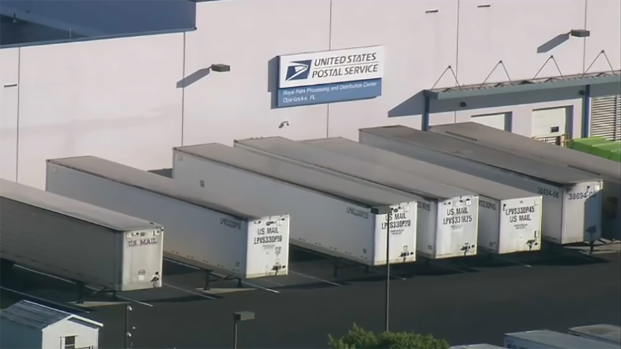 New details continue to emerge about the delivery, contents and treatment of each of those packages -- all of which shared the same bulky, manila packaging and the same return address. Sources say the devices were made from PVC pipe and contained a timer to set off the detonator. The powder in the bombs came from pyrotechnics and there was likely shrapnel inside the PVC pipes, the sources say. However officials have since revealed that were flawed and not capable of exploding. It was unclear whether they were hoaxes or just poorly made. A suspicious package was found in George Soros’ mailbox at his home in Bedford, New York, about 3:45 p.m. Monday. It was found by an employee, who threw it into the woods and phoned police. The package was in a manilla envelope and had multiple stamps on it. It appeared to be a working explosive, although analysis is pending further testing. The pipe bomb included some sort of device attached to it with black tape and wires. It arrived in a bulky manila envelope with six stamps on it. The address and return address was printed on white paper and taped to the manila folder. The device contained explosive powder, a law enforcement source told News 4. It was detonated as a precaution. One of the devices intercepted on Wednesday. The device also included a parody image of the ISIS flag. 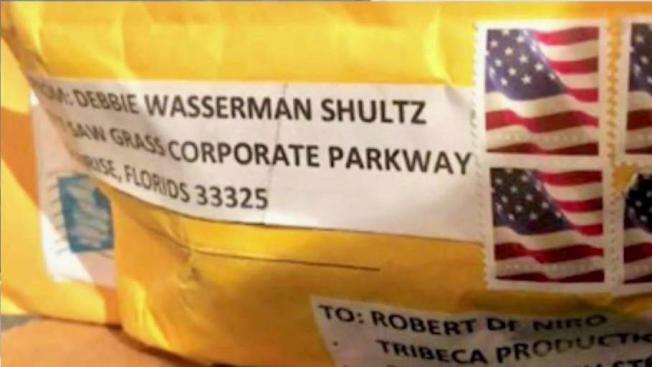 Investigators believe the package addressed to Holder may have had the wrong address, which is why it was shipped back to the nominal sender (Schultz's return address). Schultz did not send the packages. The NYPD has released this guide on how to recognize a suspicious package, and what to do. Two devices were sent to addresses for U.S. Rep Maxine Waters (D-California). One was intercepted at a U.S. Capitol mail facility in Maryland; the other was caught at a mail sorting facility in Los Angeles. The FBI said the two packages were "similar in nature" to the others. Federal authorities found a ninth package, addressed to former Vice President Joe Biden, at a mail facility in New Castle, Delaware, on Thursday morning. The package appeared similar to the others and had the same return address. A 10th package, also addressed to Biden, was found later Thursday morning in Wilmington, Delaware. Authorities had been searching the mail system nationwide since Wednesday looking for the Biden package, which they had reason to believe existed. A device addressed to NJ Sen. Booker was discovered in Florida Friday morning. It was intended for an address in Camden, New Jersey. Booker's office declined to comment on it. A device addressed to former Director of National Intelligence James Clapper, care of CNN, was found at a postal facility in midtown Manhattan Friday morning. Clapper told CNN that he was out of town and that neighbors had been checking his mail for him. That package turned out to be a letter, not a device, a senior law enforcement source said. A Cuomo spokesman said the item appeared to contain computer files on the Proud Boys.